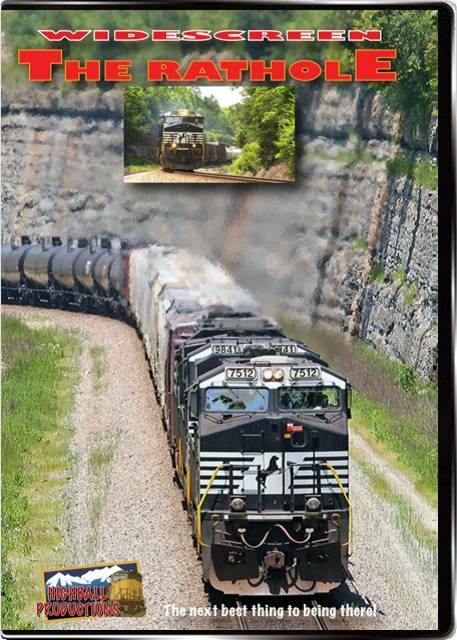 Norfolk Southern's former CNO&TP line between Cincinnatti and Chattanooga was infamous in steam days for it's many tight tunnels. Called the Rathole, the line has been mostly daylighted, and recently much double track has been laid. we follow this busy scenic route from Danville, Kentuck to Oakdale, Tennessee, and take a look at Kings Mountain Cut, and the big cuts south of Tateville. Chris R. (Kalamazoo, MI) on 2014-05-29 05:49:50. Just watched this DVD. Was well done and great narration. However the train sequences for me were kind of long and I ended up fast forwarding a lot of it. Too long in the same location. Also too long watching the whole slow moving train. That's just me I guess. Other than that it was a great video in the parts that I actually watched completely. Some others may enjoy watching the whole train moving slowly. chris collins (fletcher north carolina) on 2018-09-11 21:48:22. Train Buff (Southern California) on 2016-12-03 21:23:55. Just one run-by after another for almost two hours. What narration there was, was primarily train numbers, origin and destination, loco nomenclature, mile posts and place names. And that's about it. Place names are meaningless to one not familiar with the area, absent maps, and there were none in this video. I bought this in hopes of seeing this scenic area in Blu Ray. It delivered there except that most of the time camera locations/angles did not show the area to its best advantage. Pentrex' "The Rat Hole" IMO, gives a superior treatment of this area. While their video is excellent by DVD standards it, as expected, suffers when compared to the Blu Ray. But it gives a fuller description of the area. It is also a "combo" DVD which views the area southbound and then has a cab ride northbound. Highball Productions comes off second best in this comparison with Pentrex IMO. Eric (Reading Ohio) on 2014-04-25 15:28:26.